A perceptual set refers to a predisposition to perceive things in a certain way. In other words, we often tend to notice only certain aspects of an object or situation while ignoring other details. What Is a Perceptual Set? When it comes to our perceptions of the world around us, you might assume that what you see is what you get. What if I told you that the way you see the world is heavily influenced (and biased) by your own past experiences, expectations, motivations, beliefs, emotions, and even your culture? For example, think about the last time you started a new class. Did you have any expectations at the outset that might have influenced your experience in the class? If you expect a class to be boring, are you more likely to be uninterested in class? In psychology, this is what is known as a perceptual set. A perceptual set is basically a tendency to view things only in a certain way. Perceptual sets can impact how we interpret and respond to the world around us and can be influenced by a number of different factors. What exactly is a perceptual set, why does it happen, and how does it influence how we perceive the world around us? How do psychologists define perceptual sets? "Perception can also be influenced by an individual's expectations, motives, and interests. The term perceptual set refers to the tendency to perceive objects or situations from a particular frame of reference," explain authors Hockenbury and Hockenbury in their 2008 textbook Discovering Psychology. Sometimes, perceptual sets can be helpful. They often lead us to make fairly accurate conclusions about what exists in the world around us. In cases where we find ourselves wrong, we often develop new perceptual sets that are more accurate. However, sometimes our perceptual sets can lead us astray. If you have a strong interest in military aircraft, for example, an odd cloud formation in the distance might be interpreted as a fleet of fighter jets. In one experiment that illustrates this tendency, participants were presented with different non-words, such as sael. Those who were told that they would be reading boating-related words read the word as "sail," while those who were told to expect animal-related words read it as "seal." A perceptual set is a good example of what is known as top-down processing. In top-down processing, perceptions begin with the most general and move toward the more specific. Such perceptions are heavily influenced by expectations and prior knowledge. If we expect something to appear in a certain way, we are more likely to perceive it according to our expectations. Existing schemas, mental frameworks, and concepts often guide perceptual sets. For example, people have a strong schema for faces, making it easier to recognize familiar human faces in the world around us. It also means that when we look at an ambiguous image, we are more likely to see it as a face than some other type of object. Researchers have also found that when multiple items appear in a single visual scene, perceptual sets will often lead people to miss additional items after locating the first one. For example, airport security officers might be likely to spot a water bottle in a bag but then miss that the bag also contains a firearm. Motivation can play an important role in perceptual sets and how we interpret the world around us. If we are rooting for our favorite sports team, we might be motivated to view members of the opposing team as overly aggressive, weak, or incompetent. In one classic experiment, researchers deprived participants of food for several hours. When they were later shown a set of ambiguous images, those who had been food-deprived were far more likely to interpret the images as food-related objects. Because they were hungry, they were more motivated to see the images in a certain way. Expectations also play an important role. If we expect people to behave in certain ways in certain situations, these expectations can influence how we perceive these people and their roles. One of the classic experiments on the impact of expectation on perceptual sets involved showing participants either a series of numbers or letters. Then, the participants were shown an ambiguous image that could either be interpreted as the number 13 or the letter B. Those who had viewed the numbers were more likely to see it as a 13, while those who had viewed the letters were more likely to see it as the letter B. Culture also influences how we perceive people, objects, and situations. Surprisingly, researchers have found that people from different cultures even tend to perceive perspective and depth cues differently. Emotions can have a dramatic impact on how we perceive the world around us. For example, if we are angry, we might be more likely to perceive hostility in others. One experiment demonstrated that when people came to associate a nonsense syllable with mild electrical shocks, they experienced physiological reactions to the syllable even when it was presented subliminally. Attitudes can also have a powerful influence on perception. In one experiment, Gordon Allport demonstrated that prejudice could have an influence on how quickly people categorize people of various races. 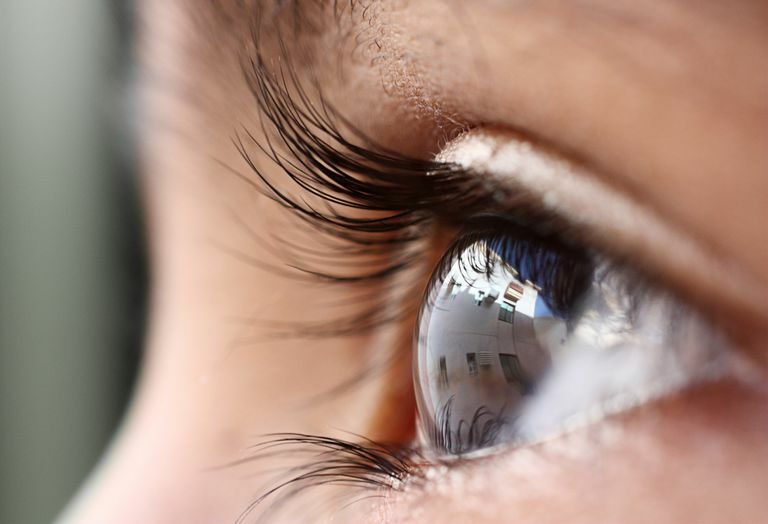 Researchers have shown that perceptual sets can have a dramatic impact on day-to-day life. In one experiment, young children were found to enjoy French fries more when they were served in a McDonald's bag rather than just a plain white bag. In another study, people who were told that an image was of the famed "Loch Ness monster" were more likely to see the mythical creature in the image, while others who later viewed the image saw only a curved tree trunk. As previously mentioned, our perceptual set for faces is so strong that it actually causes us to see faces where there are none. Consider how people often describe seeing a face on the moon or in many of the inanimate objects that we encounter in our everyday lives. As you can see, perception is not simply the matter of seeing what is in the world around us. A variety of factors can influence how we take in information and how we interpret it, and perceptual sets are just one of these many factors. Biggs, AT, Adamo, SH, Dowd, EW, & Mitroff, SR. Examining Perceptual and Conceptual Set Biases in Multiple-Target Visual Search. Attention, Perception, & Psychophysics. 2015;77(3);844-855. Myers, DG. Exploring Psychology, Eighth Edition, In Modules. New York: Macmillan; 2011. How Do Mental Sets Impact Your Ability to Solve Problems? How Can Our Attitudes Change and Influence Behaviors?